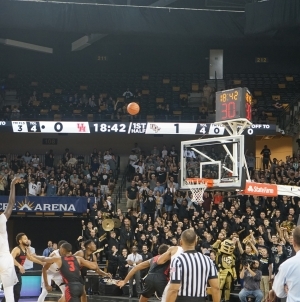 Nov. 17, 2018 will forever be marked as a special day within the University of Central Florida history as they hosted ESPN College GameDay for the first time in the school’s existence. As the UCF regular season football games come to a close, they still remain the nation’s longest-running active win streak. 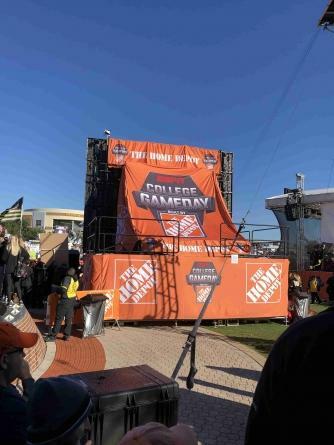 After renaming themselves “National Champions” shortly after the 2017 season came to a close, students and faculty seem to think hosting College GameDay will not only be a major attention grabber for the school’s athletics department but for the school as a whole. “In the past year or so we’ve been really trying to cause a ruckus in athletics and draw some attention towards us, so this is exactly what we wanted” Madelyn Hague, 23-year-old UCF Finance major. After visiting with an extremely electrifying crowd upon arrival of one of the nation’s most popular game day broadcasts, student Johnny Brockman, a 22-year-old UCF integrated business major said “My dad has been a season ticket alumni since we played in the Citrus Bowl, and I mean honestly ever since we got our new stadium, it’s been unbelievable, every home game has been electric, and it’s been so much fun. You know, the students show out every single game day, it’s awesome. We have one of the largest undergrad students in the country, so when you can have that it’s unbelievable like I said we show out every single game, the student section is always live, so it’s always a good time”. 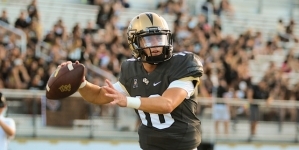 After adding another game to their win streak, UCF Knights continue to hold the nation’s longest-running active win streak, but they not only won their game, they won national exposure, which is exactly what the Knights have been looking for all along. According to ESPN, College GameDay Live from Memory Hall drew a 1.4 overnight rating, which moved up 8 percent from the views made this time last year. ABC’s broadcast of the live football game was the highest rated primetime college football game of the week which brought a 2.3 overnight television rating. There’s no say as to whether the Knights will get the immediate attention they would like, but they got the exposure they expect which they’re hoping will make an impact not only for the current students but for up and coming future Knights and maybe the alumni too. Joel, a 22-year-old UCF Aerospace Engineering major said when asked how it feels being a UCF Knights fan “It’s awesome, I don’t know, I’ve sat through their 0-13 season and it was horrible, so this is much better, they’re much better seasons”. 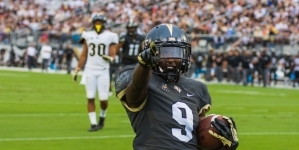 UCF is currently ranked No.9 on AP Top 25 poll, they face off with their rivals for the War On I-4 game against University of South Florida at Raymond James Stadium, Friday, November 23, 2018, at 4:15 p.m. As they move ahead in hopes to secure a win in Tampa, they then look to secure a spot in a College Football Playoff New Year’s Six Bowl game.